Haley graduated from the University of Texas at Austin with a B.S. in Communications. Hook 'em! She then received her M.S in Speech and Hearing Sciences. Haley has since learned that she needed to go back to her passion of nonprofit work to feel fulfilled in the work she does every day. Haley is passionate about the environment and humanitarian work. She is a Colorado native and lover of all things outdoors. She wants to help others have access to basic needs, such as safe water, so they can not only enjoy the outdoors she loves but thrive in them. Haley became involved in Well Aware by volunteering and learning how to help fundraising efforts for access to safe water. She is excited to help make a difference in people's lives through Well Aware's inspirational work. 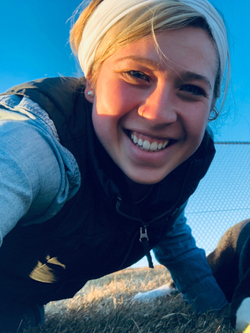 Haley can be found climbing, eating her way through Denver's restaurants, and hanging out with her husband and adorable dog, River, on the weekends.